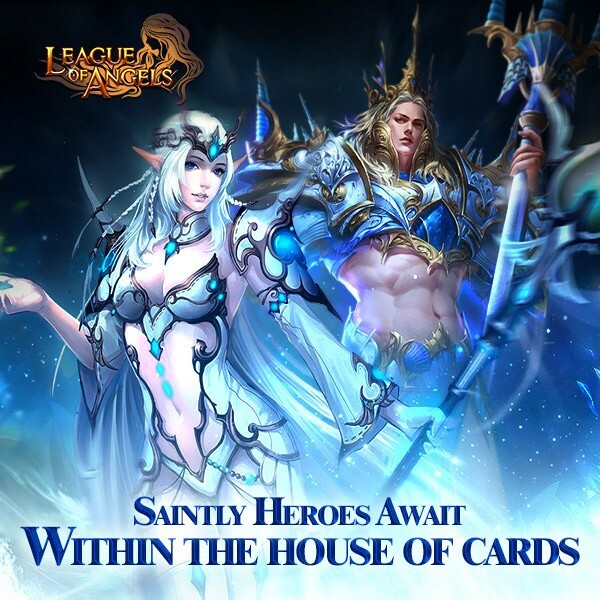 LoA_Saintly heroes await within the House of Cards! 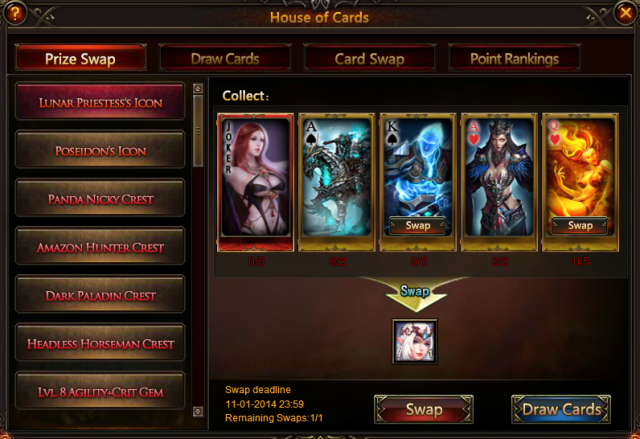 - You can swap the required cards for: New heroes Lunar Priestess and Poseidon, Panda Nicky, Amazon Hunter, Dark Paladin, Headless Horseman, Arcane Spirit Crest Shard, Valkyrie Crest Shard, Astral Hunter Crest Shard, Lvl. 8 Agility+Crit Gem, Lvl. 8 PATK+Dodge Gem, Ruby Dragonsoul Pack, Magic Socket Rod, Ruby Herosoul, Gem Enhancement Stone, Runestone, Lvl. 8 Cherubstone, Seraph's Stone, Element Crystal, Gem Essence, Topaz Herosoul, Blessed Stone, Refining Stone, Angel Tears, and Synth Scroll. - Total Ranking Rewards: At the end of the event, the Top 20 players with at least 5000 total points have a chance to win Seraph's Stones, Joker (L), Enchanted Ore, Lvl. 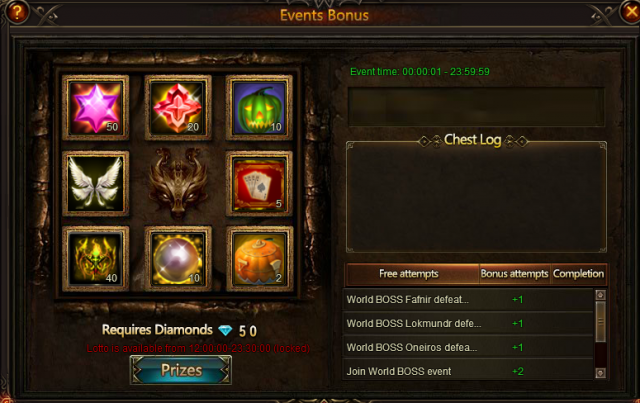 7/6 Fusion Gem Chests, Runestone or Lvl. 6/7/8 Common Gem Chests. Possible Prize: Card Lotto Voucher, Saintly Angel Wings, Marvelous Pumpkin, Ripe Pumpkin, Seraph's Stone, Blessed Stones, Gem Enhancement Stone, and Totem Badges. Description: Log in every day to win Bronze Halloween Key! Reach200, 300, 400, 500, 600 devotion, player can get great gifts during the event! More exciting events are coming up through October 27 to October 30, check them out in the in-game How Events menu now!